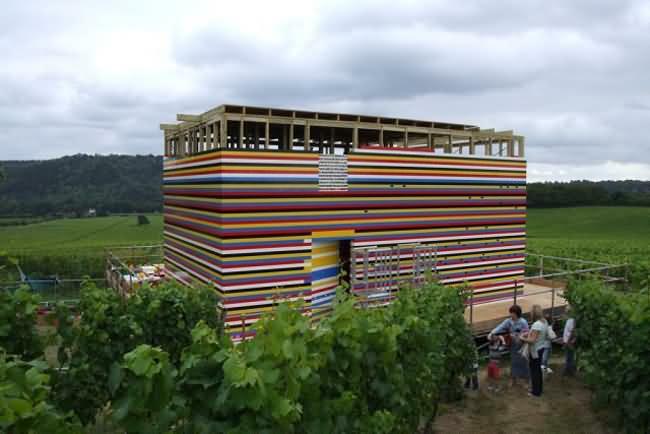 The two-story Lego palace is located in the middle of a vineyard and has a working bathroom. James used bricks pieced together by 272 Legos. 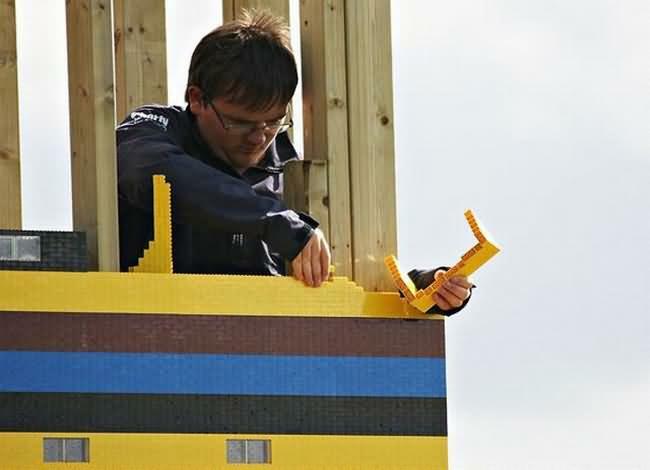 Over three million bricks were used so that's about 816 million Lego pieces. Quite an amazing job. 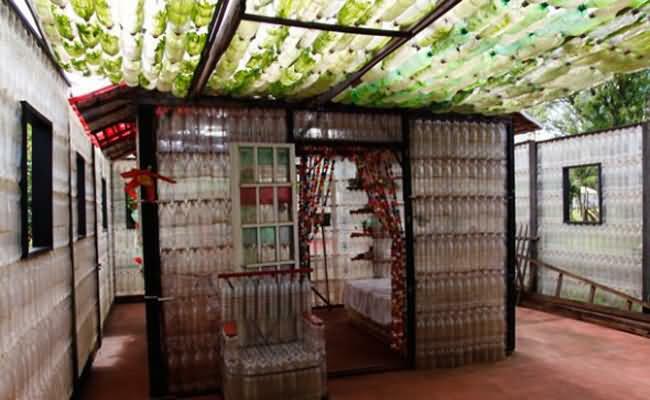 At Puerto Iguazu, near the frontier between Argentina and Brazil, comes another amazing house made entirely with recycled materials. 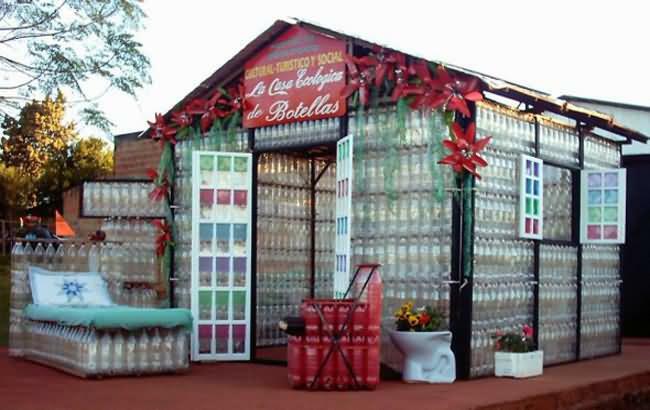 Made by a local family, its walls have over 1200 PET bottles and its ceiling, more than 1300 TetraPak cartons. 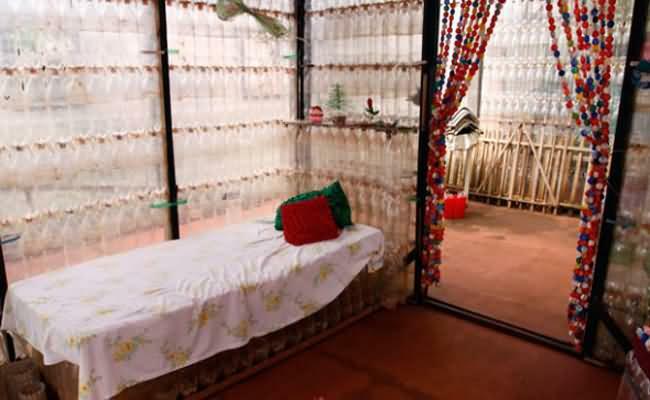 Apart from the mentioned amount of bottles and Tetra Pak cartons, the house has 140 compact disk cases in its doors and windows, 120 plastic bottles in couches, and another 200 bottles in a bed. 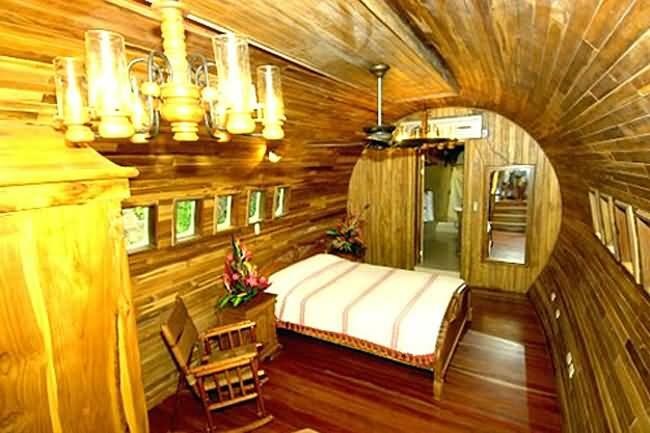 Jo Ann Ussery, a grandma, had the right idea when she bought a Boeing 727-200 and turned this retired jetliner into her new home. 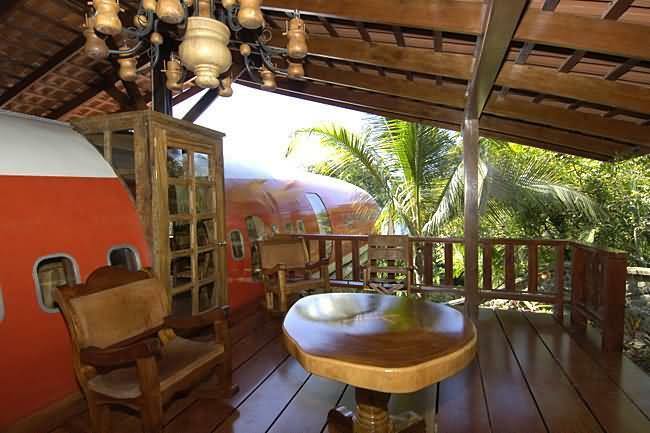 The house has three bedrooms, a living room/dining room, a kitchen, a laundry area and a master bathroom with a Jacuzzi. 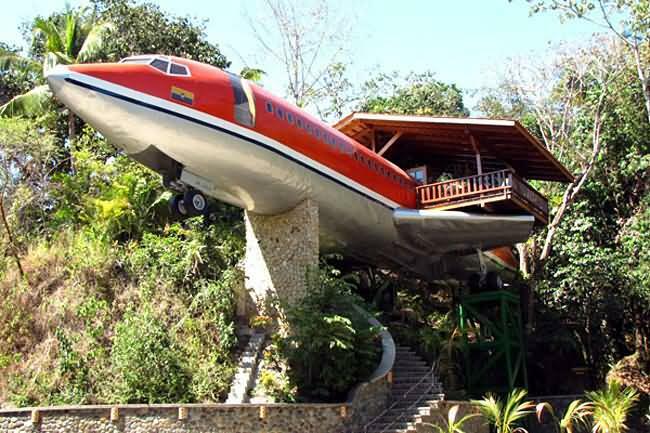 The tail of the plane is anchored in 18 inches of concrete. The nose extends past the shoreline of the lake. 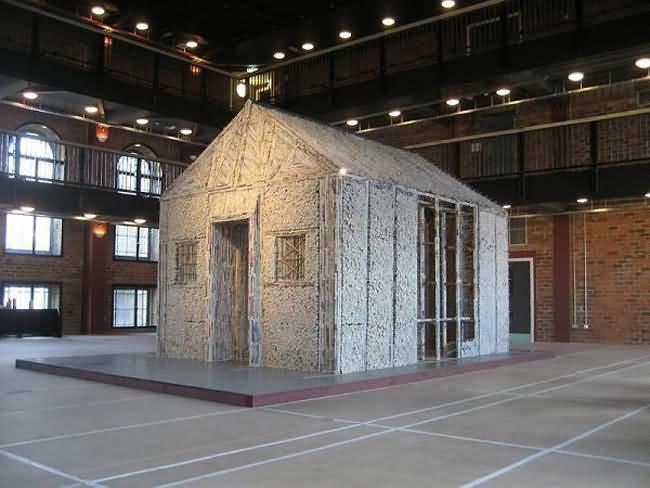 Newspaper house was constructed by Sumer Erek in London. 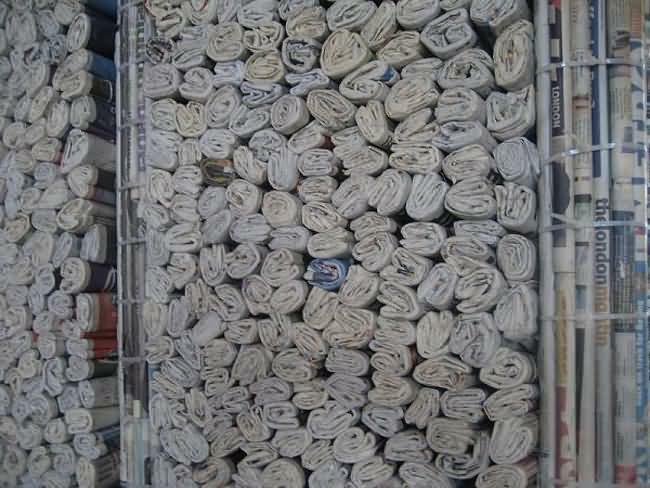 The newspaper art installation is the artist's way of emphasizing the ecological impact of the newspaper waste we accumulate everyday. 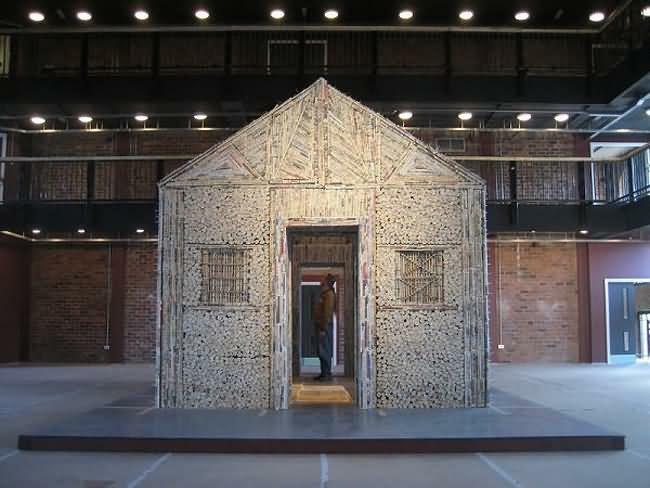 This news paper house was formed with 150,000 discarded free papers and they were packed inside a wooden frame. 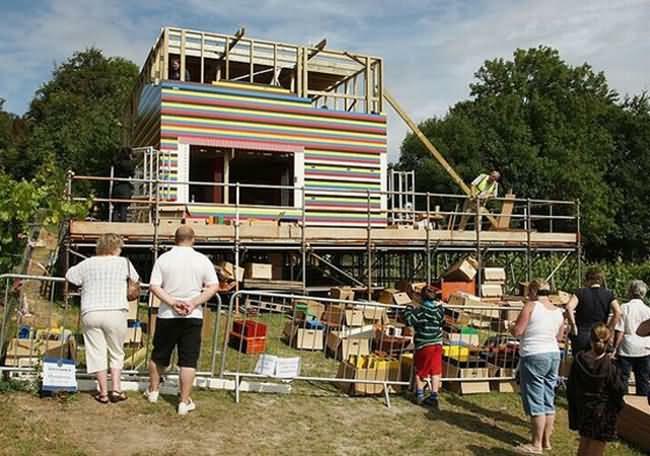 Some save scrap in their garage to build stuff for their homes. 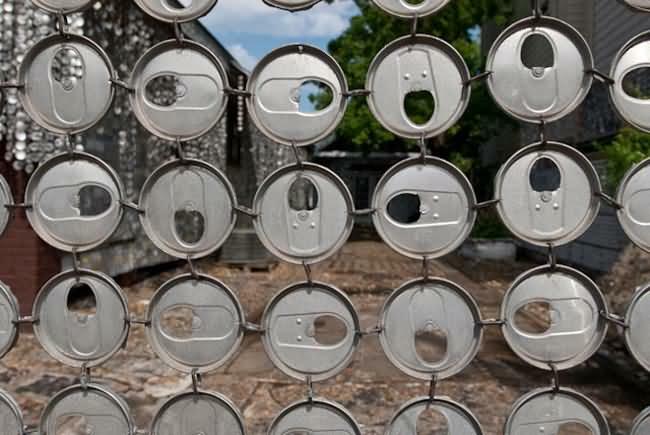 Others find scrap at garbage dumps and use it to build a home. 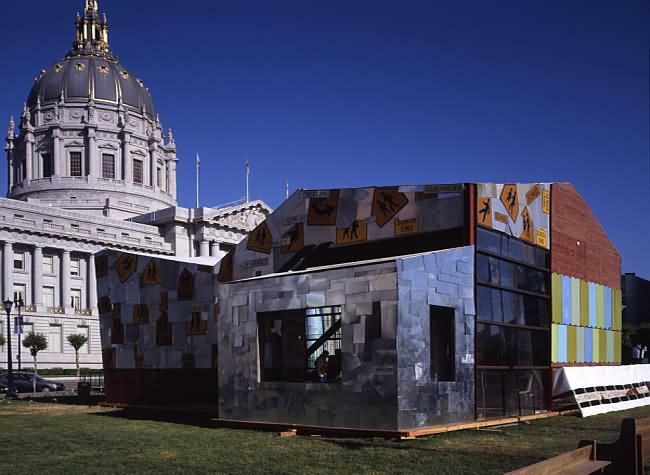 This is a 700 sq ft single-family house built for Earth Day 2005from salvaged scrap material. 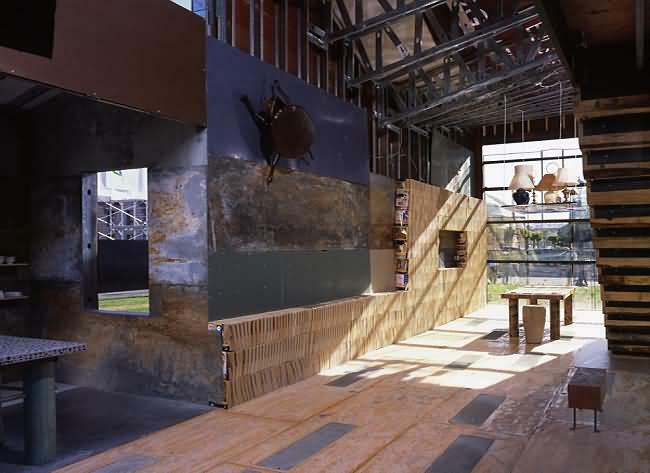 The house has furniture, a kitchen, a bathroom, two bedrooms, a deck, and a yard. 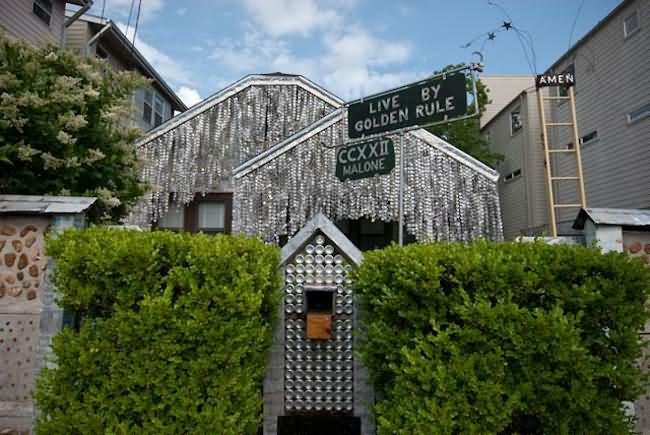 The Beer Can House at 222 Malone Street in Houston, Texas, has been drawing hoards of visitors ever since John Milkovisch, the owner of the property, started his eccentric embellishments of his property in what used to be a middle class neighborhood. 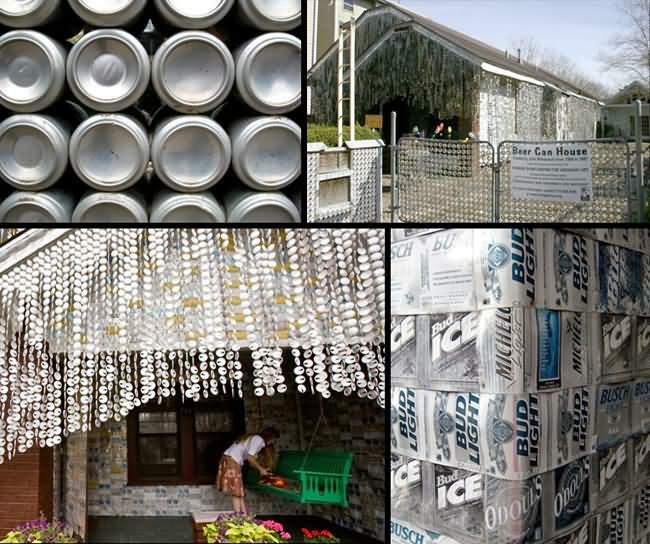 He worked on the house for the next 18 years, incorporating a six-pack a day into its adornment, roughly 39,000 cans. 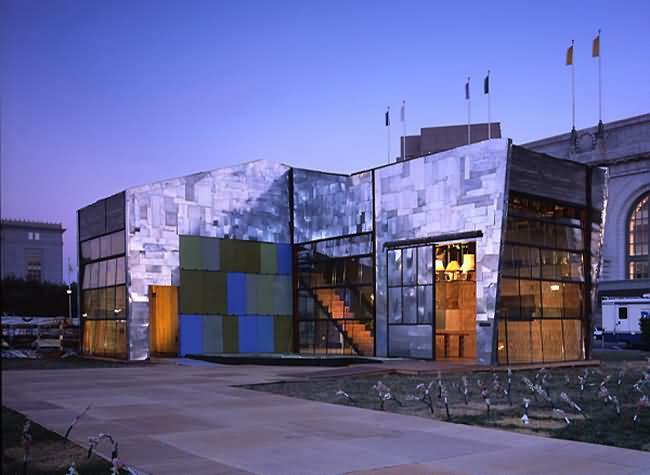 He linked pull-tabs into long streamers to make curtains that chimed when the wind blew.